ALDA Chicago is a group of people with various degrees of hearing loss. Some wear hearing aids or have cochlear implants, while others use neither. Our mission is to provide support, education and camaraderie for adults with hearing loss. Our motto, based on our members' dedication to communicating with each other and engaging with the world, is "whatever works." 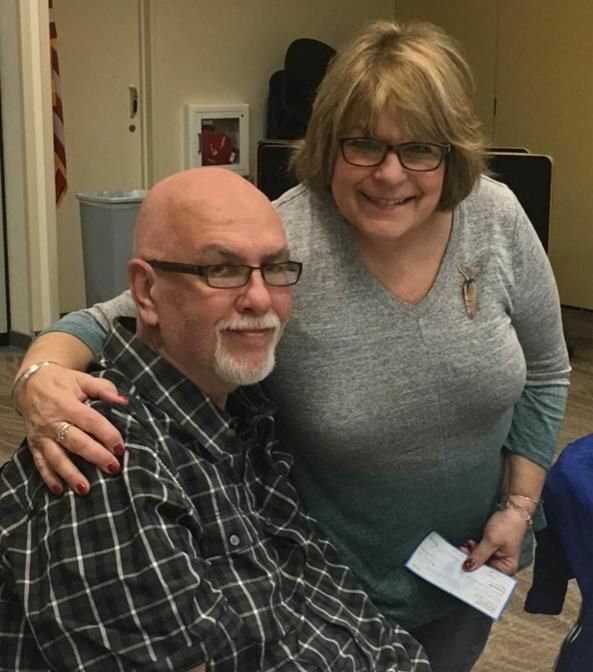 Bob Lewis, husband of the late ALDAn Sue Siergey, with Board President Marsha Swetin after presenting a $500 donation at the March 30th Board meeting in memory of Sue. Are you new to ALDA Chicago or just curious about our organization? Attending a social event is a great way to meet people and learn what we're about. Visit our Events page for more information. Questions? Send an e-mail to ALDAChicago@gmail.com. Join us at our "Let's Paint" event on Saturday, May 4. Click here for more information. Plans for other socials are now in the works. Watch this space for updates on all. We are always looking for items for our quarterly newsletter. 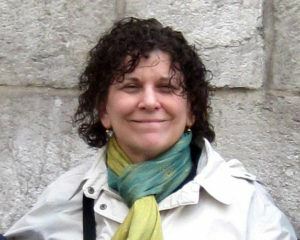 If you have material to contribute, contact Marsha Swetin at missmarsh46@gmail.com.